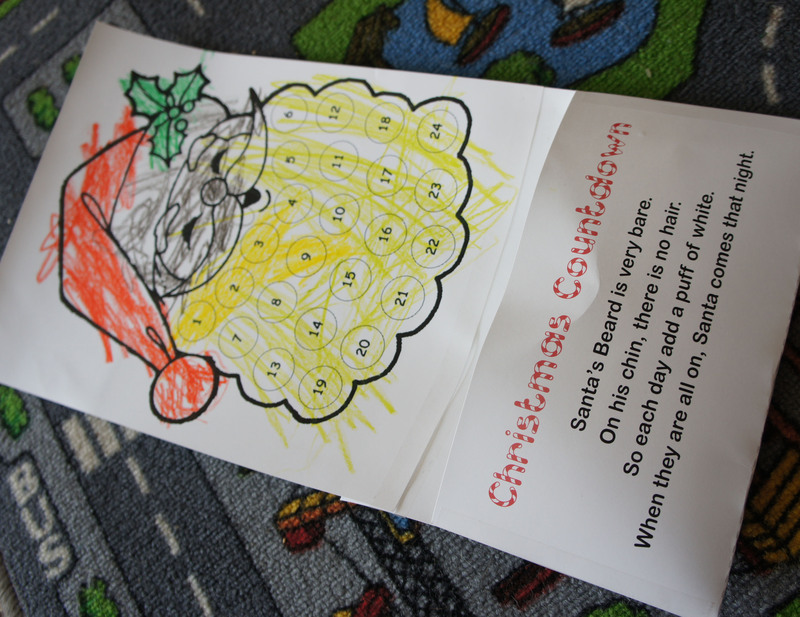 I am planning to do this craft with our playgroup at the beginning of December, but my 3 year old son saw me working on the digital file today and couldn’t wait to color his Santa. He did such a good job coloring I decided we might as well finish off the project this afternoon and have it hung and ready to start adding the cotton balls December 1st. I am sharing today so you can hopefully do the same with your kids. I always had a chocolate advent calendar growing up, but have resisted the urge to buy the kids one this year. The chocolate is always pretty crappy in them and the last thing my kids really need is more treats. I loved the simplicity of this one when I found it on pinterest. It is cheap, easy, and interactive for the little guys. Plus, I am hoping it will help with counting as we work our way up to December 24th. 1. 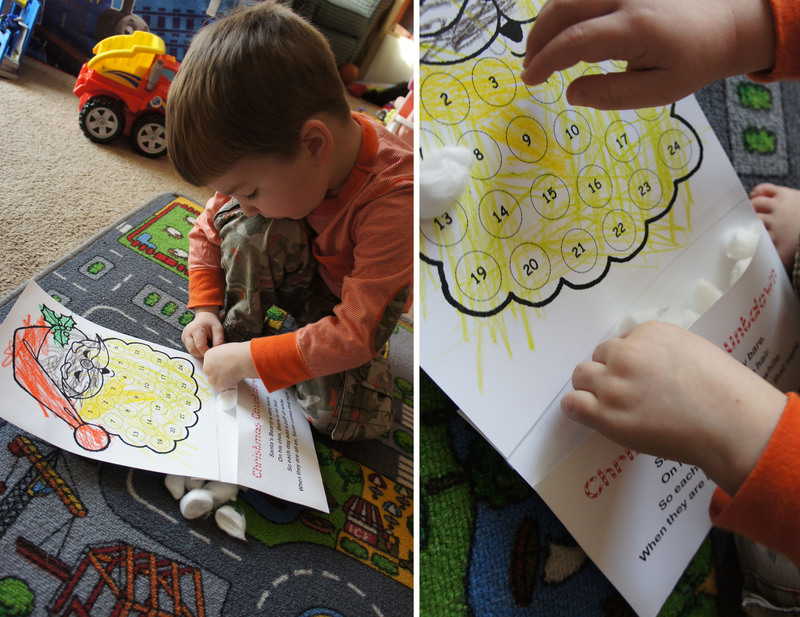 Open the CottonballChristmasCountdown_DolledUpDesign file and print both pages on white cardstock or heavy paper. The original Santa image was found on kidsdomain.com. 2. 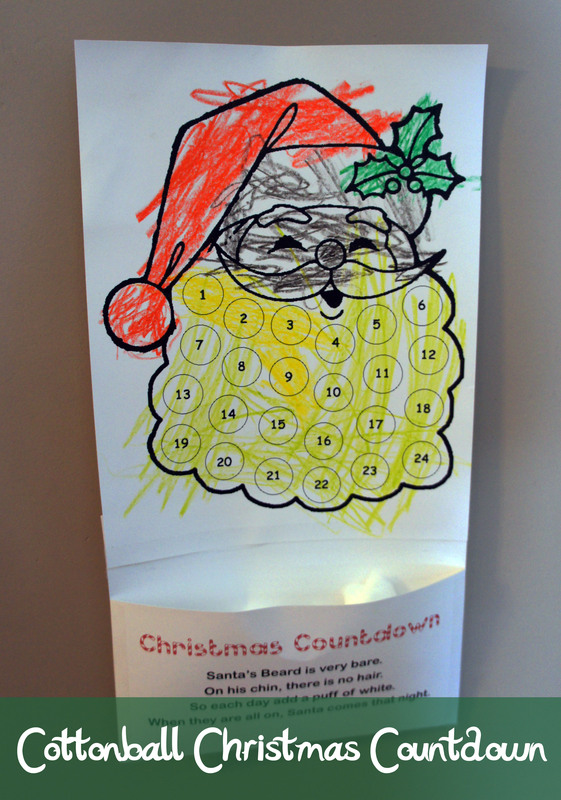 Have your child color the Santa image using crayons or felt markers. 3. Fold the “Christmas Countdown” page along the fold line and staple or tape the sides shut to create a pocket. 4. Staple or tape the pocket portion to the bottom of the Santa picture. 5. Count out 24 cotton balls and put them in the pocket. 6. 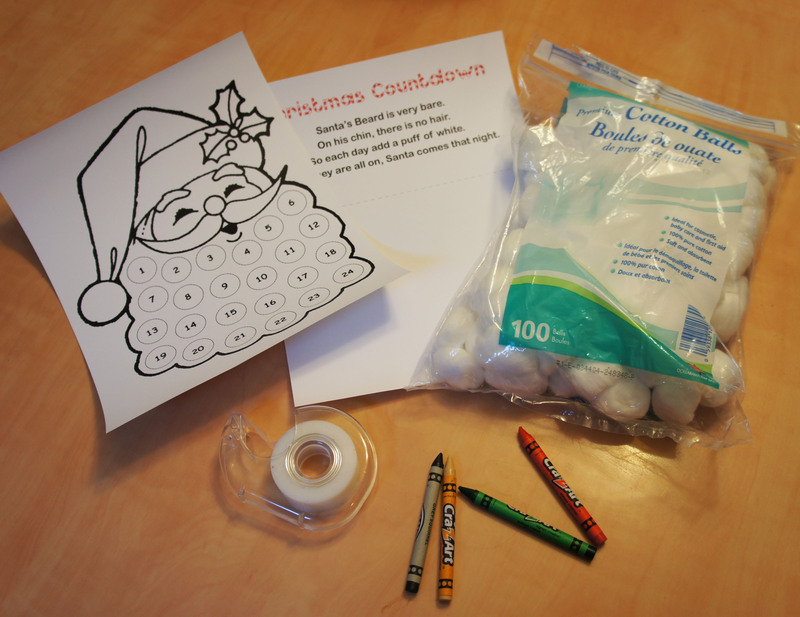 Beginning December 1st, put one cotton ball each day on the circle’s on Santa’s beard using glue or double sided tape.